Amid the ongoing and still incomplete remission process for former US-based customers of the original Full Tilt Poker, a quiet settlement was reached in the class-action lawsuit brought by several former prominent players against FTP founders and board members Howard Lederer and Chris Ferguson. News of the settlement was not announced by any of the parties in the litigation. That lawsuit lingered for several years as Full Tilt itself was dismantled, and its identifiable assets transferred to PokerStars parent Rational Group as part of PokerStars’s own massive $731 million settlement with the DOJ in 2012. The PokerStars settlement created the funds for the Full Tilt remission process, as it became known that Full Tilt’s board members and executives has enriched themselves at the expense of Full Tilt players’ bankrolls via hundreds of millions of dollars of highly questionable owner distributions. The class-action lawsuit entered settlement discussions at some point last fall, roughly in August or September. The reasons for the talks have not been disclosed, but it’s likely that the plaintiff players received remission payments, making the lawsuit moot. Nonetheless, considerable legal expenses were incurred between 2011 and the final settlement in the case, which was confirmed in January. The involved players could not drop the lawsuit without incurring that legal expense themselves. According to the final settlement, attorneys for the plaintiffs received $260,000, and a nominal payment of $500 each was given to the five players who brought the lawsuit, to be taken out of the $260,000 total. Court records show that the settlement was agreed to by both sides just before Christmas of 2015, and then approved by presiding judge Andrew P. Gordon on January 6, 2016. As a result of the settlement, the case, known as Segal et al v. Lederer et al (2:12-cv-00601-APG-GWF) was dismissed with prejudice, thus barring class-action claims of a similar nature. The case itself was heard in a US District Court in the District of Nevada, which was and is Lederer’s home state. The latent settlement news combines with that of the also-latent disclosure of the ten-year disqualification issued by Irish business regulator OCDE against fellow Full Tilt board member (and CEO) Ray Bitar, in conjunction with the liquidation of former Full Tilt corporate entities Pocket Kings Limited and Rekop Limited. Lederer and Ferguson themselves have been in the poker news in recent weeks in other ways, given their controversial and largely unpopular reappearance as participants in the seven-week-long World Series of Poker. 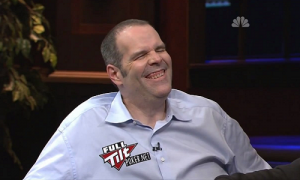 Both Lederer and Ferguson played in several of the high-buy-in events on the WSOP slate, and both were confronted on several occasions by other former Full Tilt players. The reappearance by both former Full Tilt execs was generally credited to the possibility that a five-year statute of limitations regarding the old Full Tilt’s business activities likely expired this past April. The poker world’s wounds and scars from Full Tilt’s Ponzi-style gutting from within run deep. It’s little surprise that the old Full Tilt stories and participants continue to draw considerable attention, more than five years after the fact, and other Full Tilt tales certainly remain to be told.